Everyone loves a trip to the beach, right? Feeling the sand between your toes, the sun on your skin, and the sound of the waves crashing around you is something you just can’t beat. However, it seems as though we’re not the only ones who love the beach. Whenever the sun shines, and the heat begins to soar, you can guarantee that your local beach will fill up of vacationers and natives alike. You have to search for a patch of sand to plop down your towel, and the chances of getting an ice cream before they sell out is almost impossible. So, why don’t you take a trip to these secluded beaches instead? If you’ve always fancied a trip to Barbados, now you have even more reason to go. This Caribbean island is famous for being the home of some of the most impressive beaches in the world, and Crane Beach is no different. However, one of the differences between every other Barbadian beach and Crane Beach is the fact that the latter is extremely secluded. Although it is a public beach, you can guarantee that you’ll always find space on this beautiful pink sand. Remember your swimsuit, though, because you’ll definitely want to have a swim in this ocean! There are so many beaches in Greece, so what makes Smuggler’s Cove so special? Well, this is the picture that always comes up when you search for Greece, but not many people actually make their way to this place. This beach can only be reached by boat, but if you do manage to book a trip, you’ll soon see what all of the fuss is about. The white rock stands tall above the golden sands and the baby blue water, and it’s definitely a photo opportunity. There’s a high chance that you’ve seen pictures of this beach before because it’s the ultimate Instagram spot. 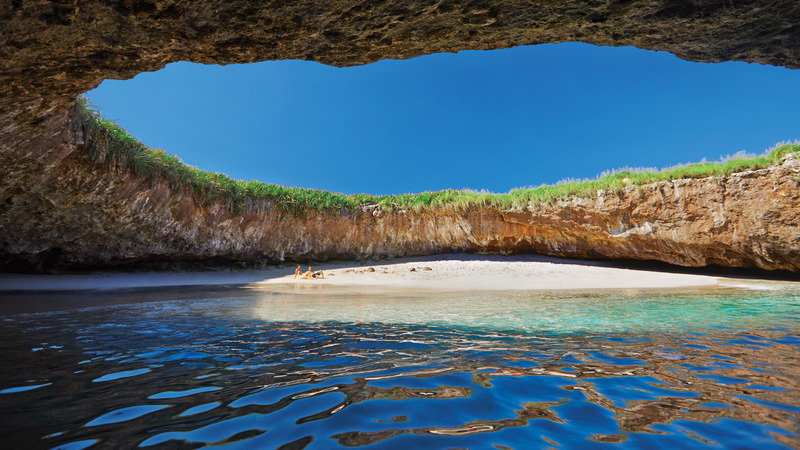 Located in a circular cave, a trip to Hidden Beach is not for the fainthearted. To get here, you must make your way through tight cracks in rock and waterfalls. Yet, the end result is definitely worth it. The crescent-moon-shaped beach offers some of the clearest natural water you’ve ever seen, and the sand is as clear as anything. The best part? Very few people make the trip there. 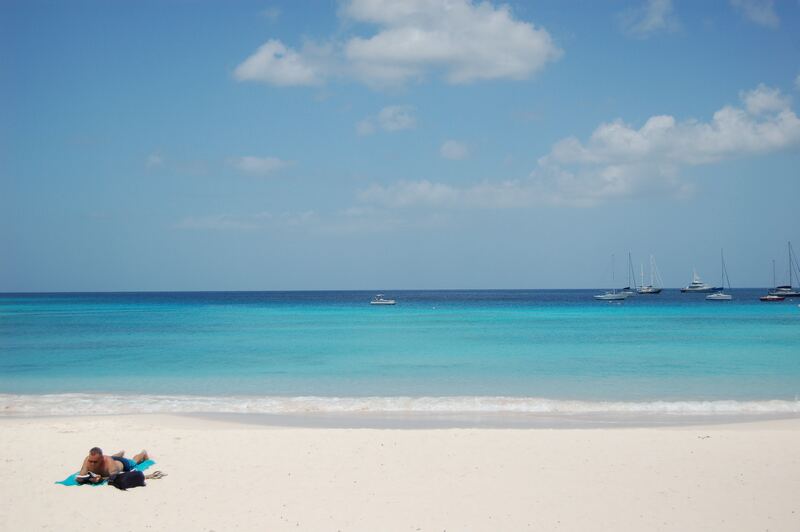 If you’re looking for a little slice of paradise, then Green Island Beach in Antigua has got your back. The whole island is beautiful and offers lush forest and crystal clear waters. Then, as you make your way to the beach, you’ll be taken away by the fact that the slice is all yours to enjoy. With very few visitors, the island is almost always deserted. This means the coral reefs are also perfect for those who love to get below the surface and dive under. If you’re looking for hidden and secluded beaches, then you definitely need to check these out.